3-Beam Hammock Stand – 15 ft. 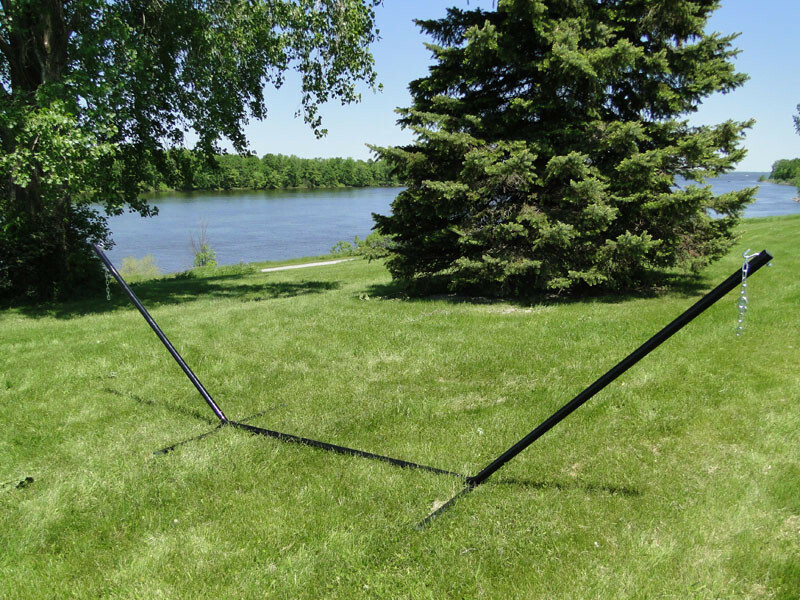 This 3-Beam Hammock Stand will fit with all of our hammocks, making it a versatile, viable solution for setting up your hammock in any area of your choice. 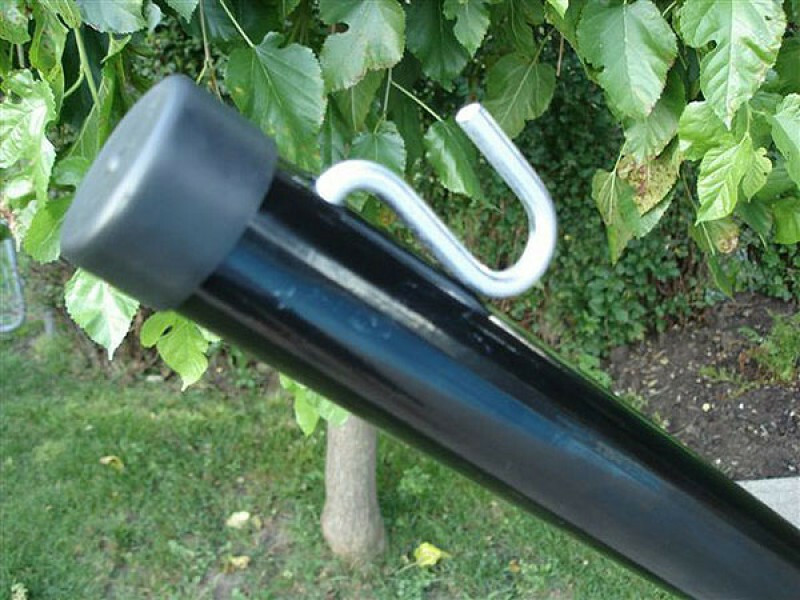 No need to spend hours digging holes and cementing poles in the ground, when you can effortlessly hang your hammock with this stand. 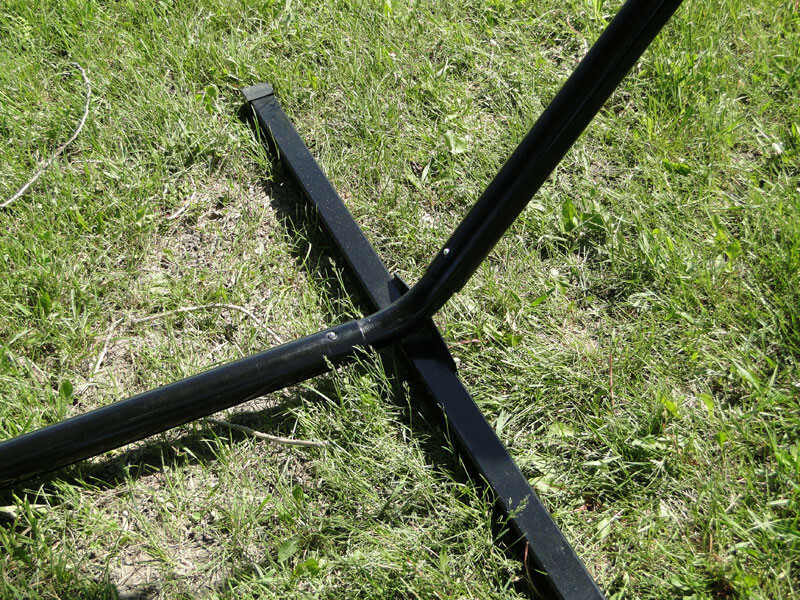 Set-up is virtually hassle-free, and takes less than five minutes to assemble. There are no tools required for assemble – an added bonus! Since set-up is so easy, taking it down is even easier, meaning it’s very easy to move and transport wherever you want it to go. Explore a world of rejuvenation and relaxation in the comfort of your home or in the solitude of your own backyard. This steel hammock stand can be placed in any favorite location, whether it’s indoors or outdoors. 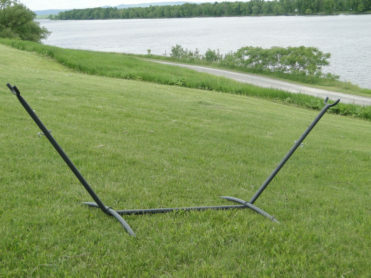 Use this stand to hang your comfortable, luxurious hammock, and be well on your way towards rest and relaxation. This durable hammock stand is constructed of heavy duty, high-grade steel, and has a 450 pound capacity. 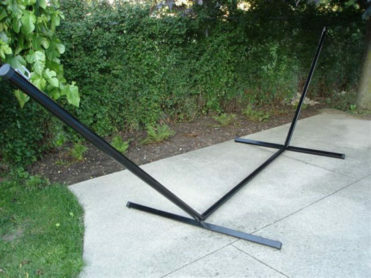 With the powder-coated steel finish, the stand looks attractive and will match with any hammock style and color. It also provides weather protection so that the stand can withstand the elements.